I was not expecting to get so angry at 7 in the morning, but calling me a bad feminist before I’ve finished my first cup of coffee is sure to raise my blood pressure. Scrolling through Google News while still in my pajamas, I came across this incendiary headline: Why Real Feminists Should Stop Eating Eggs. Yes, People For The Ethical Treatment Of Animals is not content to tell me how to treat animals, the group would now like to inform me that I am a bad feminist. I am not denying that industrialized chicken farming is far from idyllic. It probably constitutes cruelty against animals, if we’re being honest. And to me, that’s a fine argument for PETA to make: Don’t eat industrial eggs, because these animals are treated inhumanely. But to argue that egg-eating in general makes a person a bad (human) feminist is an overreach. 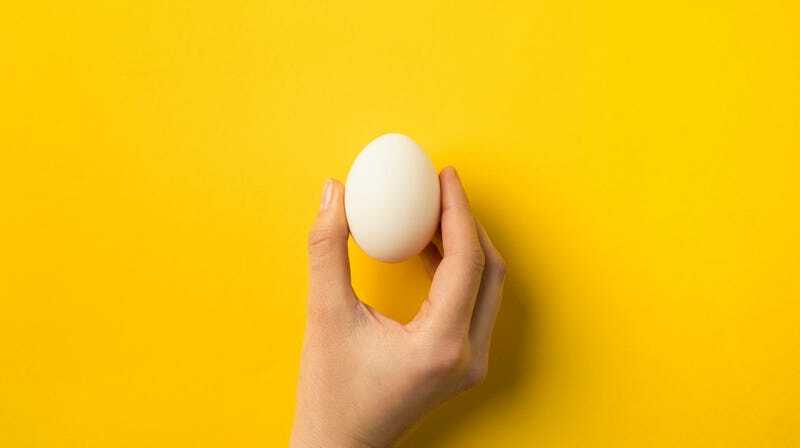 The author of the “feminists can’t eat eggs” piece relies on problematic rhetoric to make her case. Namely, she equates the historic value of chickens with their nurturing, mothering instincts: “The hen has been turned into an egg machine. In previous eras, she embodied the essence of motherhood.” Yeah, it’s a very feminist move to reduce femininity to one’s value as a mother. Moving on. If PETA wants to argue against industrialized egg production, be my guest. But do it on animal-welfare grounds, not by accusing non-vegans of being bad feminists. Stay in your lane, PETA; you’re less effective when you don’t.